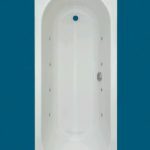 Eight Side Chrome Jets + 2 Chrome Foot & 3 Chrome Lumbar Jets all supplied by BALBOA. 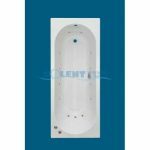 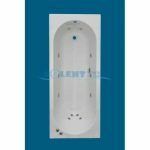 A luxurious 13 Jet Whirlpool Bath with a modern and design and which will grace any home. Dimensions 1700 x 700 x 520mm.